Idaho Public Television “Idaho Reports” a talk show that runs Friday evenings, is expected to use footage and interviews from the RDC symposium in an upcoming series of reports. Aaron Kunz co-hosts. Notice — The Symposium can be attended either in person or via Webinar — just indicate your preference in the registration process. 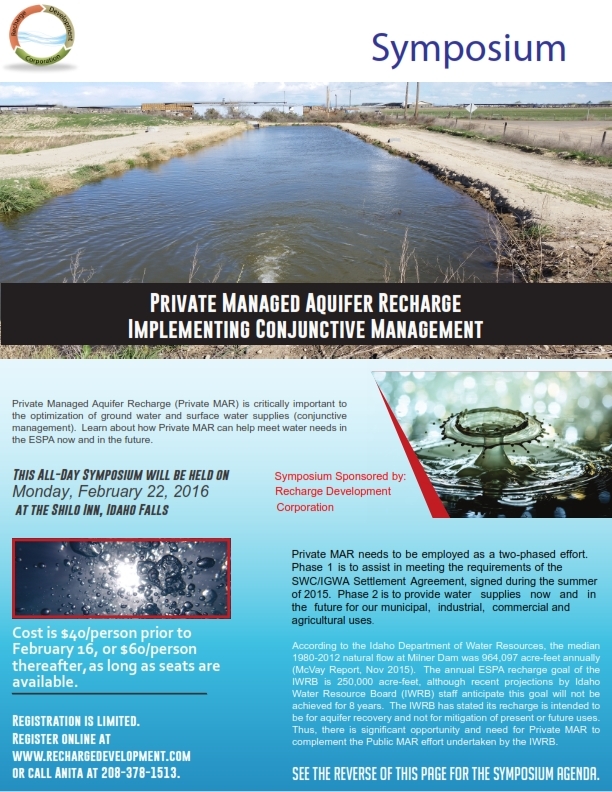 You are invited to attend a full day Symposium on Private Managed Aquifer Recharge. The symposium is comprised of talks from many experts in the field, organized as four panel discussions. Early-bird sign-up is $40 (before Feb. 16) and later signups (including at-the-door) are $60. This includes refreshment breaks and a full lunch buffet. Our lunchtime speaker is Mayor Rebecca Casper, City of Idaho Falls. The day includes breaks for networking with others who have an interest in this important area. We look forward to you participation! 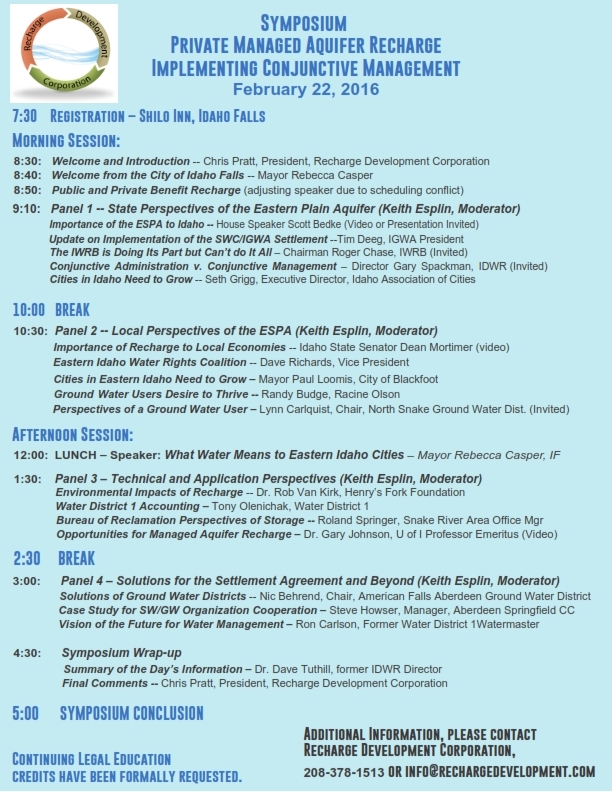 Click HERE to read the press release for the Symposium. Please click on the images below for details, or click HERE for the PDF version.